I have a home network server (with one NIC) that I dedicate to OpenStack testing. It is time for me to migrate to OpenStack Kilo on CENTOS7. 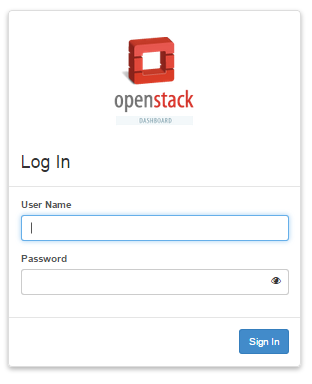 As with my previous OpenStack setup, I am using the RDO community’s packstack tool. This note logs my experience, for my notes, and the potential benefit of others. I generally followed the RDO Quickstart instructions, so chapeau to the community for laying out the steps for me. I picked CENTOS7 and did a bare-metal install usinga DVD I burned from the iso image named CentOS-7-x86_64-LiveKDE-1503. I installed new disk partitions, reformatting my drives. As I learned from previous packstack installs, the networking needs to be configured with a static IP address. This can be done at CENTOS7 install time. Look for the “Networking & Hosts” button. Click it. On the next screen, there will be an icon at the bottom right; click it and edit the interface: change it from DHCP to manual. The following screen cap from CENTOS7 install gives an idea of what I did. My passed Fedora/Centos install experience is to let the default DHCP networking get installed, then manually change things to static IP address. Not this time; here, I found setting the static IP at install time was easier for me. The packstack scripts need the hosts file and the hostname setup correctly. When done with the install, I will turned off root login access. Then reboot. Make sure basic networking is running. Verify ssh for root login works. Use another PC on the same LAN and verify ssh into the server works. In the root login, run the following steps. Make sure each one runs successfully before starting the next. At this point, I insert a work around that is specific to my setup. This particular CENTOS7 distribution pulls in mariaDB as part of KDE. I found that this created a conflict with the packstack scripts. As I documented in a previous post, uninstall mariaDB as follows. Now run the main install script, packstack. Note, I am adding orchestration in addition to the default install. In order for the OpenStack VM to network with my home lan, I needed to get bridging setup. First, I made the br-ex bridge points to the IP address/gateway that I originally setup for the NIC (in CENTOS7, the NIC is assigned a name enp3s0). At this point, I rebooted. When done, check everything. Verify ping to the Internet, verify the same, inbound. Verify ssh, both inbound and outbound. The dashboard is found at http://192.168.100.154/dashboard. The User Name is admin, the password for the dashboard is found in the /root/keystone_admin file. By default, I was able to access the dashboard from any PC on my home lan. For access from outside of my home LAN, I setup a NAT mapping in my home gateway, but I had to setup an alias in the OpenStack horizon apache configuration. The name os.mydomain.net is a sub-domain name that I own, where I map it to the Internet routable IP address my ISP gives me. Verifiy that http://os.mydomain.net/dashboard works. 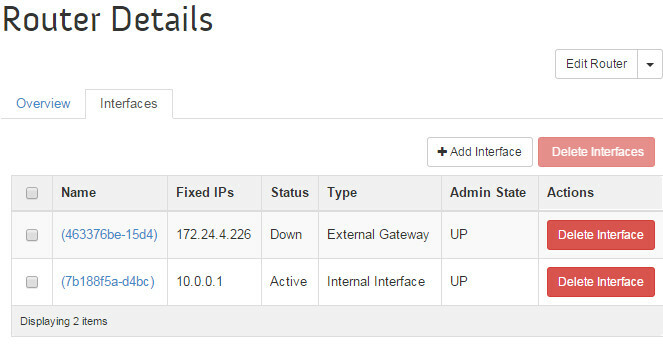 Once logged in, the dashboard shows the network setup that packstack installs for us by default. 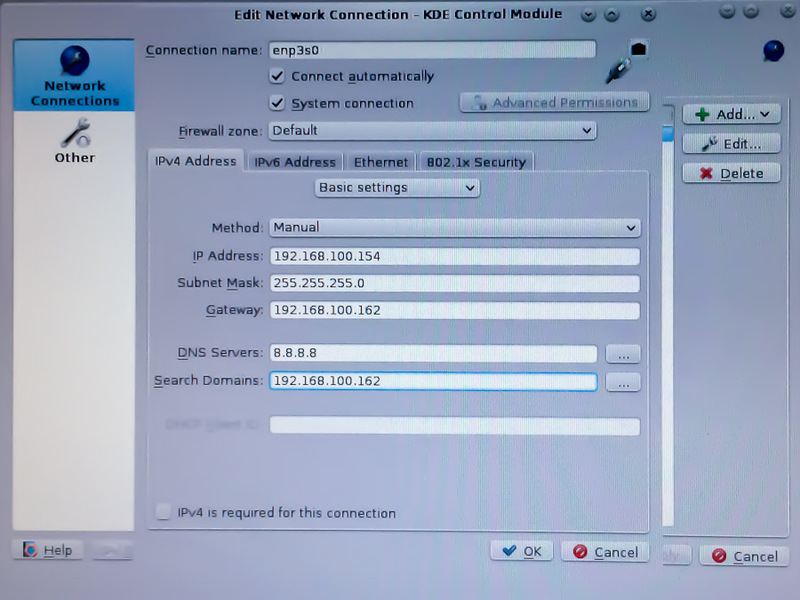 It sets up a private and public networks IP addresses that don’t match my needs. So I need to clear this out. 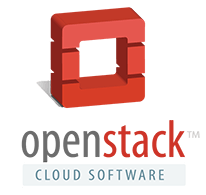 The way OpenStack works, you cannot delete everything in one hammer-style step; you need to disassemble the networking one step at a time. First, you need to delete the router, then delete the networks. This step deletes the default router that packstack setup for us. The dashboard gives a nice GUI to do this. Navigate to Admin->Routers. Using he GUI, we can delete these two interfaces, and then we can delete the router. Go back to the dashboard Admin->Routers page, verify that the router has been cleared. I know, the command line steps are alot more difficult than clicking the “Delete Router” button, but this is how I learn. From the dashboard Admin->Networks. We want to delete the two networks packstack setup for us. In packstack (OpenStack?) terminology, the private network is the range of IP addresses used by the virtual machines used by the admin project within this OpenStack installation. The public network maps to the interface that routes packets to outside networks… in this case, the public network will eventually be assigned addresses that fit within my home lan (not Internet addressable IP address). The Networks dashboard shows two networks. I want to remove them. It turns out you need to click on each of the networks and delete the subnets attached to the network. On the dash board it is pretty easy to do. Here’s the command lines that will delete these two networks. Note, again, I typed the commands into my putty screen, and scraped them and inserted them inline below. Verify that the Networks are gone in the dashboard. Ok, to this point we have a clean slate ready to bring in images, spin up instances, and network them together.